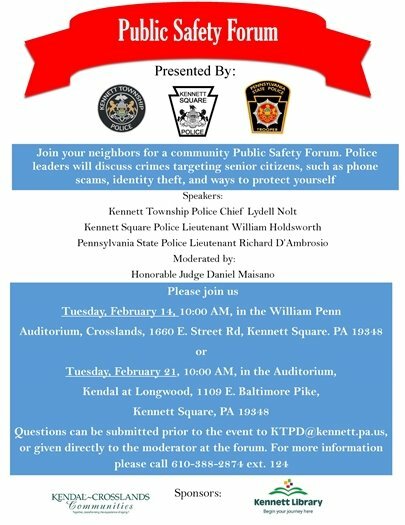 Join us for another Public Safety Forum! Tuesday, February 14th at 10am or Tuesday, February 21st at 10am! Copyright 2016 Kennett Township. All Rights Reserved.